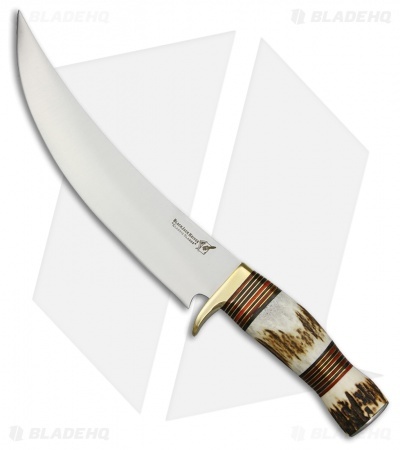 This BlackJack International Methuselah Long Hunter features a hefty trailing point blade made from durable stainless steel in a satin finish. It sports a genuine stag handle with a brass guard and black/red spacers. 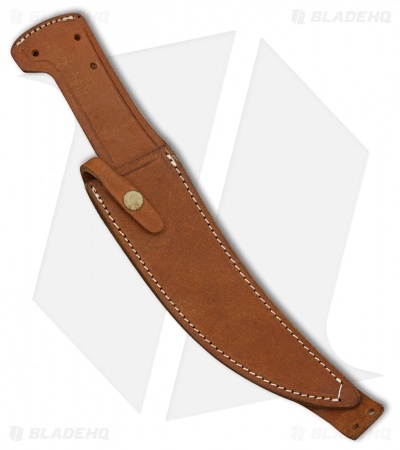 Includes a brown leather sheath for comfortable belt carry.